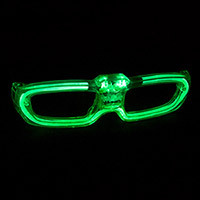 This El wire set is perfect for costume or set decorating, dancing, accent light, bike decoration and more. 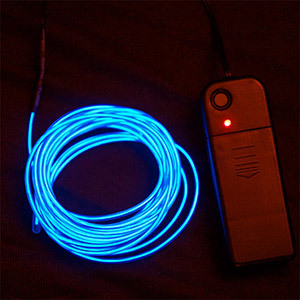 The El Wire is almost 10 feet long (3 meters) easy to install and cool to the touch. 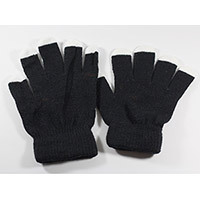 3 light up modes: steady on, fast flash & slow flash. 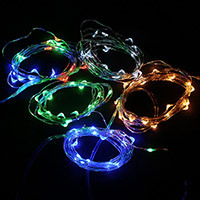 The wire on the transparent blue color is clear when unlit making it ideal for costumes and set decoration. 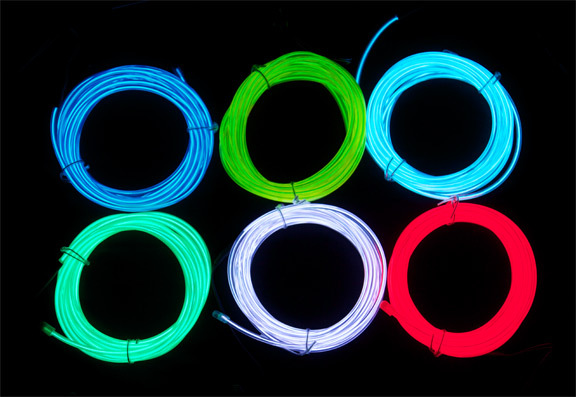 El Wire is 3.2mm thick. Controller requires 2 AA batteries NOT included.